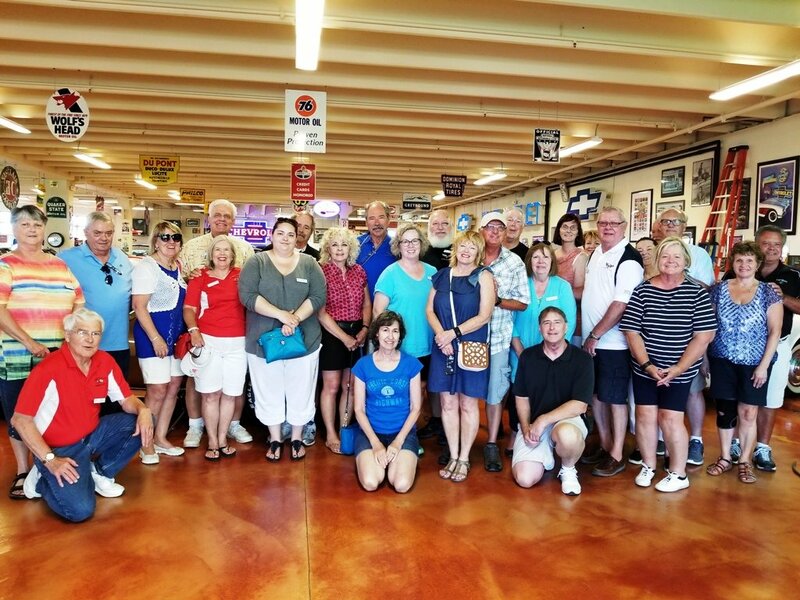 On Saturday, June 10, 14 cars with 27 people were led by Colleen and Jim Juliff to Ankeny, Iowa. We enjoyed a delicious lunch at The Fletcher House before heading to see the Dennis Albaugh Car Collection. A friend of Jim’s, Brad Williams, was instrumental in arranging our visit, as the Albaugh collection is a private one. On display were approximately 275 cars, including every Chevrolet convertible built between 1917 and 1975. This included Corvette convertibles for every year from 1953 – 1975. There were also more than 25 1957 Chevy Bel-Air convertibles in every color available for that year. The group dined at The Machine Shed, known for its décor and BBQ. On our way home Sunday, we took a quick tour of a couple of the covered bridges of Madison County. After lunch, Linda and Mike Downing arranged for our group to see a police dog in action. Their son’s father-in-law is a police officer who works with a drug enforcement dog. The dog quickly found a small packet of drugs in a truck and showed his attack and bite skills on another, well-padded, officer. Thanks, Linda and Mike! Our thanks to all who joined us and helped make this a fun trip.